The evidence from the Puranas clearly indicates that there were at least one hundred kings in a genealogical succession before the Bharata battle. If an average span of twenty years is assigned to each king, this provides a period of 2,000 years for the duration of the Vedic age, which takes us back to the Harappan period, even if the most conservative chronology is used. With the collapse of the Aryan invasion and immigration theory and the questioning of the assumptions upon which it was based, we must look afresh at the chronology of the Vedic literature. Certain key dates in Indian literature were decided by assuming the flow of ideas from Greece to India. For example, the Sutra literature was dated to after 300 BC primarily because it was assumed that the geometry of the Sulba Sutras came after Greek geometry. Now that Seidenberg has shown that essentially the same geometry was present in the earlier Brahmanas, which definitely predate Greek geometry, the question of the chronology of the Sutra literature becomes important. Using astronomical references it appears that the Vedic Samhitas should be dated to the third millennium BC, the Brahmanas to the second millennium BC, with the Upanisads and the Sutras coming somewhat later Sengupta did pioneering work14 on this latter problem but his research has not received the attention it deserves. First, it should be stated that the archaeological and textual evidence compels us to assume that the Indic area became a single cultural area at least around 5000 BC. The Indian civilization was created by the speakers of many languages, but the language of the earliest surviving literary expression was Vedic Sanskrit, which is itself connected to both the north and the south Indian languages. The genealogies of the Puranas and the later Vedic literature also reach back at least into the third or the fourth millenna BC. The Puranas list ninety-four generations of kings before the Bharata War. The later Vedic literature, starting with the Satapatha Brahmana, indicates a shift in the locus of the civilization outside of the original area of the Sindhu and the Sarasvati valleys. On the other hand, the bards (sutas) of the Puranas and the epics have preserved genealogies of kings and other people. “As seen by good people in the ancient times, the suta’s duty was to preserve the genealogies of gods, risis and glorious kings and the traditions of great men” (Vayu P. 1. 31-2) According to the epics and the Puranas (e.g. Mahabharata 1.63.2417, Vayu P. 60. 11-12) the arranger of the Vedas was Para ́sara’s son Krisna Dvaipayana Vyasa who lived at the time of the Bharata battle. One of the hymns of the Rigveda (10.98) is, according to the indices, composed by Devapi, and this hymn mentions Santanu, Bhisma’s father. This appears to be the youngest hymn in the Rigveda, and thus the reference is supportive of the Indian tradition The Yajurveda does not mention anyone later than Dhritarastra, and the Atharvaveda mentions a Pariksit ruling over the Kurus There is no mention in the Vedic Samhitas of any of the Puranic kings who came much after the Bharata battle. Although the Puranas have suffered extensive revisions, the core Purana can be dated to Vedic times Atharvaveda 11.7.24 mentions Purana along with the three other Vedas Satapatha Brahmana 11.5.6.8 refers specifically to the itihasa-purana and 13.4.3.13 refers to the recitation of the Purana. There is a similar reference in the Chandogya Upanisad 3.4.1. According to the Visnu Purana, the original Purana was transmitted to Romaharsana by Vyasa. Romaharsana taught it to his six disciples, including his son Ugrasravas. At that time the Purana consisted of 4,000 verses. The oldest three Puranas—the Vayu, the Matsya, and the Brahmanda—are supposed to have been narrated in the reign of Adhisimakrisna, the great-great grandson of Pariksit. The Vayu Purana was first narrated to a gathering of risis, performing their twelve-year sacrifice in the Naimisa forest on the banks of the river Drisadvati. The Vedic genealogies of risis can be found in the Satapatha Brahmana (10.6.5.9) and Brihadaranyaka Upanisad (2.6; 4.6; 6.5), but such lists are not characteristic of the Vedic books However, the Anukramanis provide invaluable references to the composers of the hymns The Vedic books do not present history in any systematic fashion Nevertheless, the isolated references to kings and risis can be compared usefully with the independent references in the Puranas to obtain a chronological framework for the events of the Vedic era. The famous kings of the epics and the Puranas were Mandhatri, Hari ́scandra, Sagara, Bhagiratha, Da ́saratha, and Rama of Ayodhya; Sa ́sabindu and Arjuna Kartavirya of the Yadavas; Dusyanta, Bharata, Ajamidha, Kuru and Santanu of the Pauravas; Jahnu and Gadhi of Kanyakubja; Divodasa and Pratardana of Ka ́si; Vasu Caidya of Cedi and Magadha; Marutta Aviksita and Trinabindu of the Vai ́sala kingdom; and U ́sinara and Sivi of the Anavas Of those that are mentioned in the RIgveda are Bharata (RV 6.14.4), Santanu (RV 10.98.1), Ajamidha (RV 4.44.6), MandhatRi(RV 1.112.13, 8.39.8, 8.40.12) and Rama (RV 10.93.14). Furthermore RIgveda 10.34 is attributed to Mandhatri, 10.179.1 is attributed to Sivi, and 10.179.2 is attributed to Pratardana. That Sudas, the most famous king of the Rigveda, should just be a name in the Puranas can be explained in two ways First, this king lived long before the compilation of the genealogies and second, the focus of his exploits was far from the region where the Puranic genealogies were organized. The Puranas themselves claim that the sutas were originally from the eastern regions of Magadha and Anupa, and this was far from the locale of the Sudas battle in north Punjab. The Puranic genealogies all begin with the mythical Manu Vaivasvata. He had several offspring of whom his daughter Ila bore a son named Pururavas Aila; their further successors represent the Aila or Lunar branch of the Vedic people. Manu’s chief son Iksvaku became the king of Madhyade ́sa with the capital at Ayodhya. The Aiksvakus are the Solar dynasty. Amongst the Ailas, Pururavas was succeeded by Ayu; he in turn was succeeded by the famous king Nahusa, whose son and successor was Yayati. The kingdom expanded a great deal during his reign, and Yayati divided up this state amongst his sons Yadu, Turvasu, Druhyu, Anu, and Puru. The Visnu Purana and other Puranas provide various king lists Pargiter collated the Puranic and the epic lists,18 using synchronisms to place the kings of the main Aiksvaku list in relation to the kings in the even less complete lists of the other dynasties He was also able to establish the general credibility of the lists by comparison with the well preserved information of the Vedic books Pargiter drew attention to the fact that the genealogies are more complete in regard to the eastern kingdom of Ayodhya. He argued that the focus of the civilization described in the Puranas was eastern India. The king lists are traditionally placed in different yugas as follows: The Krita age ended with the destruction of the Haihayas [by Rama Jamadagnya]; the Treta began approximately with Sagara and ended with Rama Da ́sarathi’s destruction of the Raksasas; and the Dvapara began with his reinstatement at Ayodhya and ended with the Bharata battle. By taking the numbers in the table of genealogies, the division is approximately thus: the Krita Nos 1-40, the Treta Nos 41-65, and the Dvapara Nos 66-95. Pargiter places Sudas at number sixty-eight, whereas the Druhyus who are supposed to have left the country are placed at thirty-eight. This indicates a possible error in his synchronism. Pargiter’s lists cannot be considered to be the final word, but they are a useful starting point. In spite of the limitations of the lists, Pargiter is to be commended for the care that he took in obtaining his synchronisms But his interpretation of the lists was vitiated by his implicit use of the incorrect but fashionable theories about the spread of Aryans within India. In order to conform with Max Müller’s date for the composition of the RIgveda, Pargiter considered that the Bharata battle took place around 950 BC. Assuming that each king ruled approximately for twelve years he traced the genealogies to about 2000 BC. Since Pargiter’s work was done before the discovery of the Sindhu-Sarasvati civilization, he was not able to use archaeological checks for his assumptions He did not use the internal tradition in the Puranas regarding the time span between king Pariksit and the Nandas, and he also did not use the fact that the lists are incomplete. But he demonstrated that with the most conservative view of the data, there was no escaping the fact that the Indian tradition went back to at least 2000 BC. A later attempt by Bhargava departs from Pargiter in assigning a more realistic period of twenty years per generation Considering one hundred generations of kings up to the time of the Bharata battle this took him to 3000 BC as the dawn of Indian history. 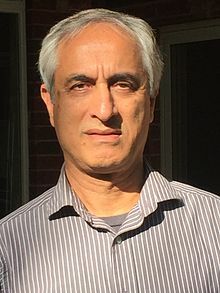 Although this work improves on Pargiter’s synchronism, Bhargava’s work remains limited because of two assumptions: (i) that the Bharata battle took place in about 1000 BC (he also used unconvincing arguments to reconcile it with the Puranic statements); (ii) seeing the Aryans only in the Sapta Saindhava area during the RIgveda era, which is in contradiction to the internal evidence of the Puranas The provenance of the kings and the risis shows that during the RIgvedic times itself the Aryans were spread to about the current geographical extent of the Indo-Aryan languages in India. In summary, the evidence from the Puranas clearly indicates that there were at least one hundred kings in a genealogical succession before the Bharata battle. If an average span of twenty years is assigned to each king, this provides a period of 2,000 years for the duration of the Vedic age, which takes us back to the Harappan period, even if the most conservative chronology is used. This raises important questions about placing the Bharata battle within the framework provided by the recent archaeological discoveries from India.